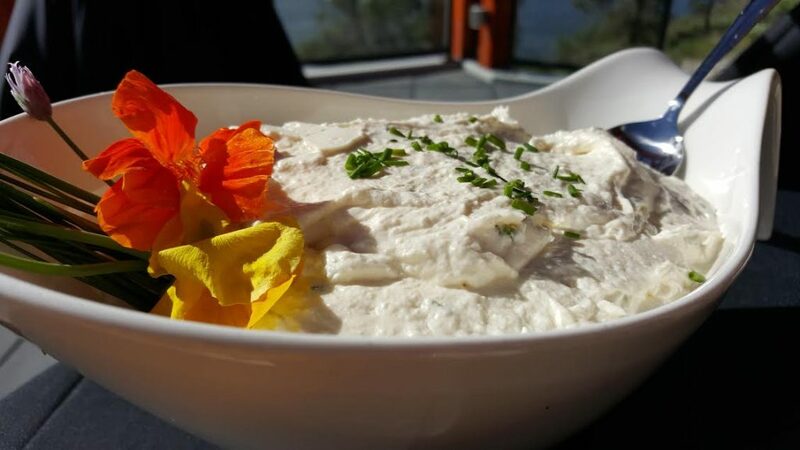 This dip is so addictive that you’ll want to serve it again and again, not just for parties, but for yourself too! So many possibilities with this basic recipe… so go ahead & play! Add crumbled feta to a food processor and pulse until small crumbs remain. Add in cream cheese and puree for 4-5 minutes, scraping down the sides when necessary, until feta is super creamy. Add garlic, olive oil, balsamic, salt and turmeric. Blend until smooth and thoroughly mixed. Place in a serving dish. Top with a drizzle of Olive Us Tuscan Herb Olive Oil. Garnish with chives or other herbs. Serve as desired with crackers, crostini, cut veggies, etc.